Over the next five years more than a million service members will leave active duty service and Salesforce wants these men and women to gain the skills necessary to launch cloud computing careers. So Salesforce created Vetforce, our military job training program, to help our customers and partners access military talent. Vetforce is a growing community of learners becoming trained and certified in Salesforce technology. 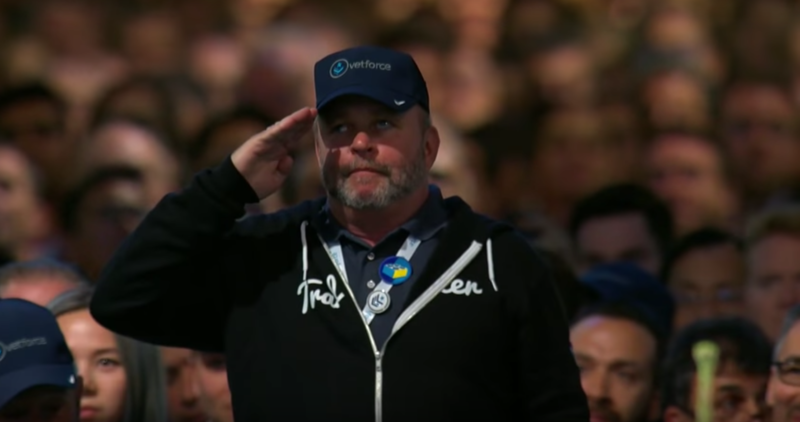 On Wednesday, Marine TJ McElroy, the first totally blind #veteran to become Salesforce certified, was personally recognized by Salesforce chairman and CEO Marc Benioff for his incredible work with Veterans Workshop. Thank you to all of the service members who joined us at Dreamforce, and thank you TJ for inspiring the community with your story and work! On Tuesday afternoon, 40 executives participated in the Dreamlift, a CH-47 military helicopter experience, which included a roundtrip flight from Treasure Island to Moffett Air Field. 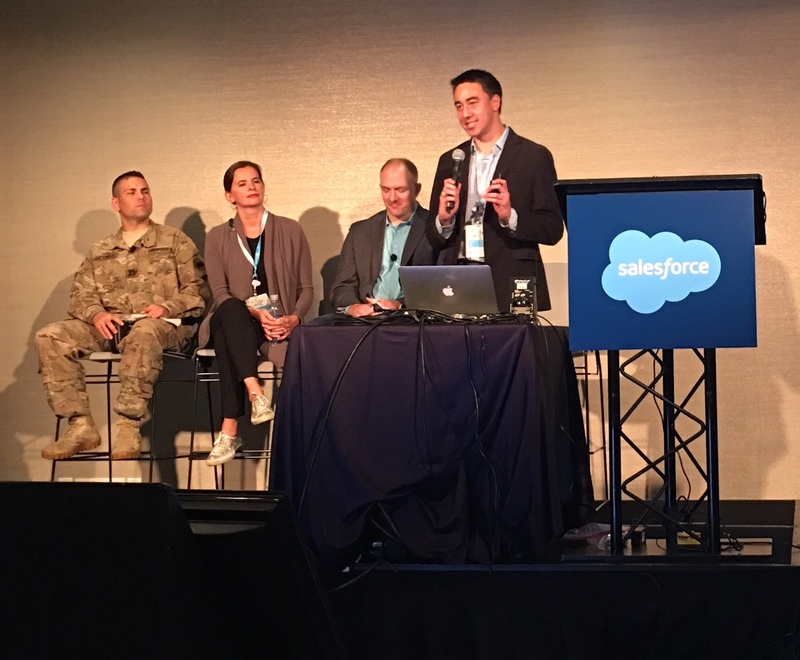 The California National Guard Work for Warriors Program provided this opportunity so that top companies could get a first-hand understanding of the technical capabilities of our citizen soldiers and join Salesforce in training and hiring these men and women. A huge thanks to Dave Gowel and the Rallypoint team for once again supporting this event. An inspiring and funny motivational speech to a packed house about Marcus’ experience as a Navy Seal. Great lessons from Rally Point, Breakline, and California National Guard’s Work for Warrior program about military talent. Insight into how the Navy has created a diverse and inclusive workforce for both service members and civilian employees. “A diverse force is a stronger force” – Asst Sec of the Navy Franklin R. Parker at df16 to talk about diversity in the military. Don Faul, Randy Wootton, and Jason Noma shared their experiences thriving in tech while also supporting other veterans. One of the best networking events at Dreamforce happened Thursday night when Vetforce members finally all convened. Attendees included Salesforce Chief Equality Officer Tony Prophet as well as a number of nonprofits like Vets In Tech, Bunker Labs, Vets Tech Trek, Veterans 2 Work and IAVA, which also brought their board member Craig Newmark. Savvy vets met hiring managers and many great connections happened to help military members advance their careers. This year 50 local members were given full conference passes, allowing them to fully take advantage of all Dreamforce had to offer. 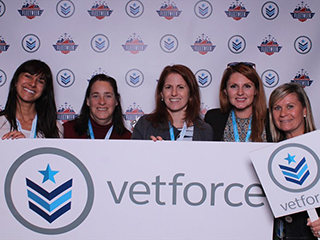 Veterans went to sessions, staffed the Vetforce booth and significantly increased their knowledge and network in just three days. Military service members, veterans, and spouses sign up at veterans.force.com and their status is verified. Follow us on Twitter @Vetforce and join us at veterans.force.com to learn more. 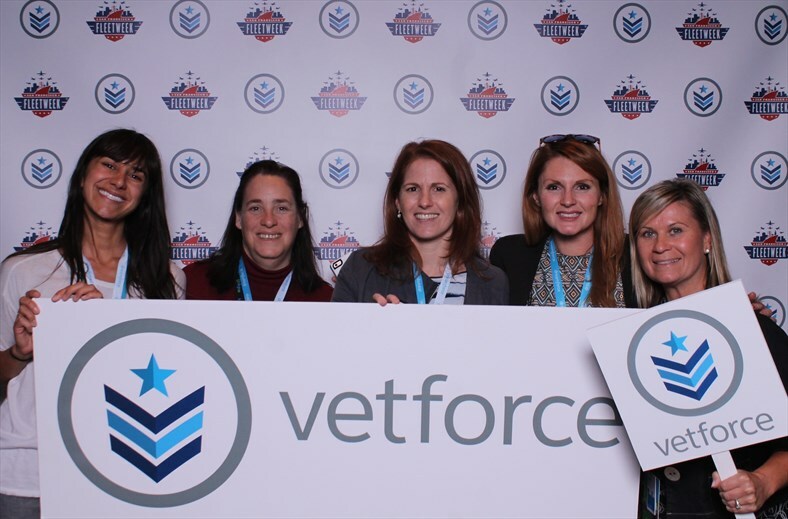 If you’re interested in hiring Salesforce certified military talent please send information about your open Admin, Developer or Analyst positions to vetforce@salesforce. Thanks to the entire community that contributed to DF16 – we look forward to continuing to work with you!